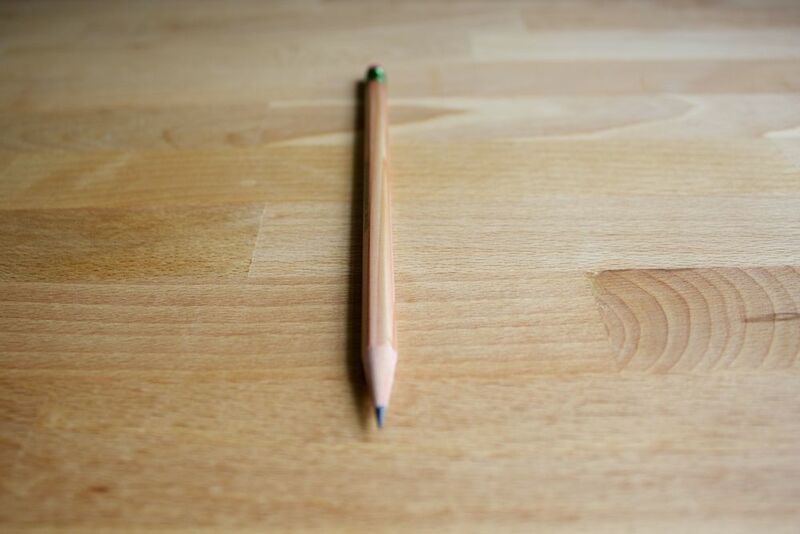 My pencil blends in with my desk...good photography! 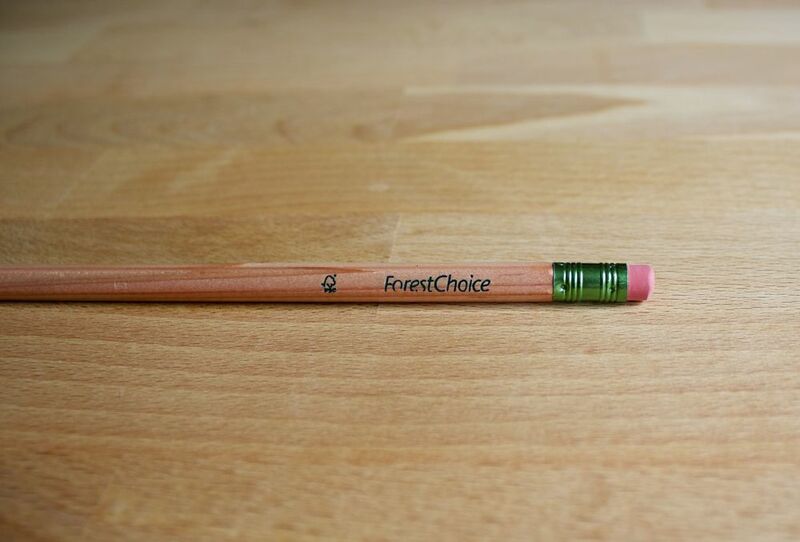 The Forest Choice pencil is a fine pencil. Yes it looks a bit drab and there is nothing especially interesting about it, but it writes good. 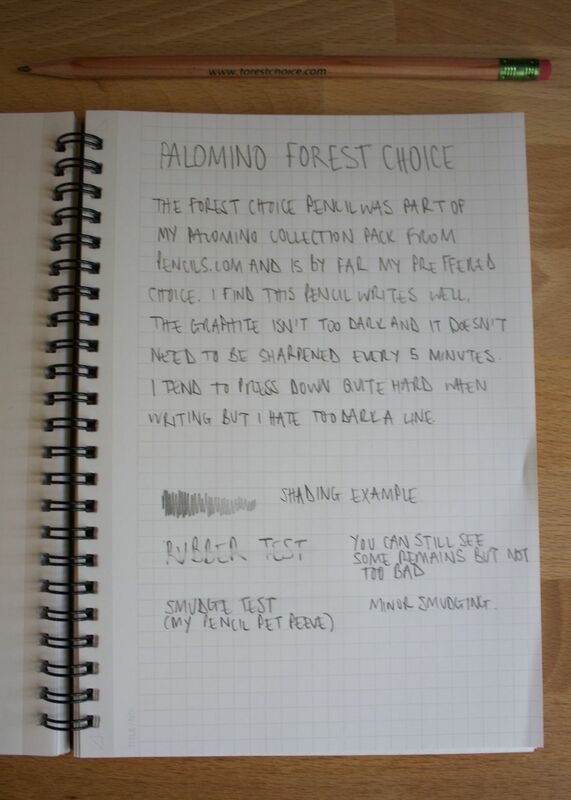 I had heard about the Forest Choice pencil before but I only came across it from the Palomino Collection Pack I bought at pencils.com. Since buying the collection pack this pencil has been the one I have used the most despite its less than impressive appearance. This pen feels really nice to hold. It has been finished well so you aren't getting any rough feeling from the natural pencil barrel. Its really light too, which is more than likely due to the ferrule and rubber (eraser to my American friends) not being too big. I really like the splash of green you get on the ferrule. It makes the pencil look a bit more interesting and matches the writing on the pencil barrel. Now I am not expert here this is just my honest opinion, but the graphite on this pencil is something that I really like. My pet peeve is a dark line that smudges when you close a notebook or where you end up marking it with your hand. I find with the Forest Choice pencil that you don't need to sharpen it all the time to keep a nice crisp line and a sharp point. This can be a pain in the arse if you're on the move, I don't want to carry a sharpener if I don't need to. Pencil design - there is nothing wrong per say, and it's not a reason to discount this pencil....however I do wish it was a bolder colour. Kind of like the Golden Bear pencils. I know this goes against their sustainability ethics but I would like it a bit more. 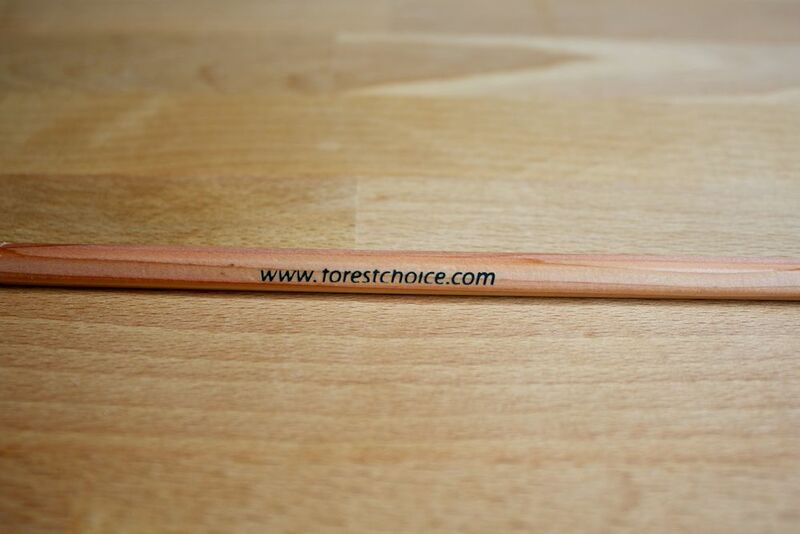 The pencil includes the Forest Choice website on the barrel which is helpful and naturally makes you want to take a look at their website. I wouldn't bother, their website is utter crap. There is nothing there apart from some basic information about the company. Obviously this does't make any difference to the pencils writing style or my love for it, BUT if you are going to include the website on your pencils at least make it look like it has seen some attention from someone in the last ten years. As a pencil goes, and I am really no expert here, I am a big fan of the Forest Choice pencil. Rating: 5 / 5 - This is the first 5 / 5 review on my blog and it goes to a pencil. Who would have thought?